You are here: Home > Family Forum: Fetal alcohol syndrome? 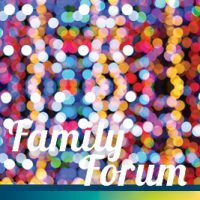 Family Forum: Fetal alcohol syndrome? Could this be a case? A friend’s son is having major trouble learning at school. His mother drank heavily throughout the pregnancy and I have wondered if his problems could be due to foetal alcohol syndrome. How is the syndrome diagnosed and what are the signs to look for in a child who might be needing extra support? Foetal alcohol syndrome is best regarded as a spectrum from minimal severity to severe. It is diagnosed by a history of alcohol being drunk in pregnancy, especially in the first three months. One of the most common signs is poor growth of the foetus and infant. Development is frequently inadequate. Again, this may be absent, minimal or more severe. Head size is commonly small. Such features are observed in many of the abnormalities that can arise during pregnancy. Clues that the baby was damaged by alcohol are a smooth thin upper lip with an absence of the normally seen ridges running down from the middle of the nose to the pink upper lip. There is also a decreased distance between the eyes. Damage to the brain is the most serious problem. This can include epilepsy, impaired development (such as delayed onset of walking and talking), learning disabilities and low IQ is often detected in school-age-children with the syndrome. Social problems abound with 60 per cent eventually having trouble with the law and 50 per cent exhibiting inappropriate sexual behaviour. Other agents that damage the foetus share many of these clinical features except the facial features. These are subtle and as such foetal alcohol syndrome was not recognised until the 1970s, despite the fact that alcohol has been consumed by humans for thousands of years. Currently the incidence of foetal alcohol syndrome is about one in a thousand pregnancies. Although organs are affected, the abnormalities are relatively minor compared to the ones discussed above. To arrive at a diagnosis the baby needs to be seen by a paediatrician experienced in foetal alcohol syndrome. These are mainly found here in Adelaide at the Women’s and Children’s Hospital or Flinders Medical Centre. There is no cure for foetal alcohol syndrome but treatment for some of the features is possible. The involvement of a psychologist and special education teacher is likely. Women who are planning to become pregnant should not take alcohol. There is some suggestion that very early in pregnancy (possibly up to six weeks) the damage is small or absent. As alcohol is often involved at the time of conception, this may protect the early foetus but thereafter pregnant women should abstain from it.